With Peter Nelson at the helm, it was inevitable. HBO released a statement Thursday announcing its decision to leave the boxing business at the end of 2018 after 45 years. Nelson took the reins as Executive Vice President of Programming for HBO Sports in 2015. Sure, Nelson inherited a mess, but his incompetence was a major factor in the poor quality of HBO's boxing programming for the last several years. 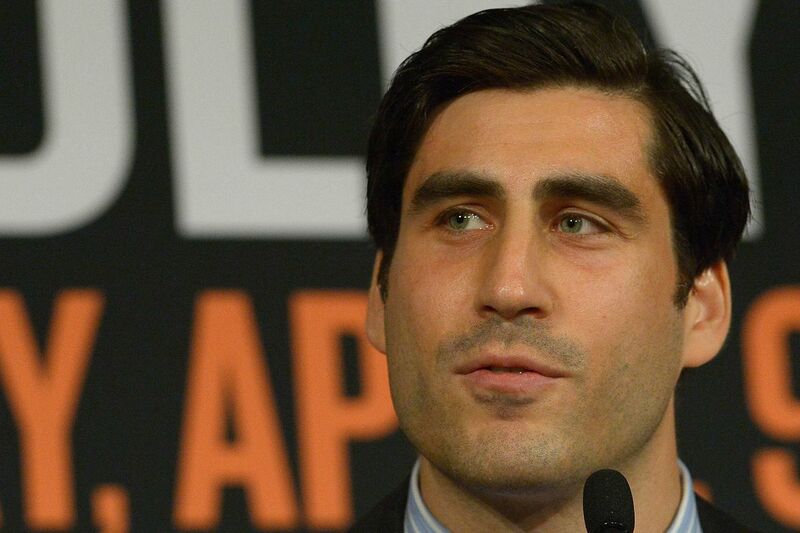 Ken Hershman, Nelson's predecessor, refused to do business with Al Haymon's stable of fighters. At the time of Hershman's departure from the network in late 2015, main events in prime time were up 14 percent. Moreover, on May 9 of that year, current unified middleweight world titleholder Canelo Alvarez scored a third-round knockout of James Kirkland, in a bout that garnered the largest rating on HBO Sports in eight years. But like in boxing, things changed, and boy did it come fast. Nelson never attempted to rectify the network's relationship with Haymon, and also refused to do business with Top Rank promoter Bob Arum, who in late 2017, blasted Nelson in an interview with The Ring. Less than a year later, HBO threw in the towel on boxing. “Look at his lineup of fights, what is he thinking?” Arum said. “He has (Sergey) Kovalev against a guy nobody ever heard of (Vyacheslav Shabranskyy), and he has Cotto against a guy Jessie Vargas, who isn’t the biggest puncher in the world, just knocked out (Sadam Ali). “I just think he’s not competent,” Arum continued. “They need professional people over at HBO. It’s a great network, they have great entertainment, but they have a guy who is running their sports department who has no experience and who is an amateur. In August, Top Rank announced a seven-year deal with ESPN, which called for 54 live boxing events annually. The network also launched the ESPN + app in the spring, which provides subscribers with thousands of live college and professional sports events, including boxing, for just $4.99 a month. The future of boxing is also in good hands with the new streaming service DAZN, which made a splash in its debut last Saturday with unified heavyweight world titleholder Anthony Joshua's electrifying seventh-round knockout of Alexander Povetkin, and Showtime, which remains as the only network to televise the sport, recently inked a partnership with Haymon, in another massive blow to HBO. At the turn of the 21st century, HBO's annual boxing budget was as high as $120 million under the tutelage of former HBO Sports President Seth Abraham, who also happened to be an avid boxing fan. The budget reportedly dropped to as low as $25 million under Nelson, a 95 percent decrease. It goes to show you that boxing can teach all of us something about life. One day you are at the top of the world and in the blink of an eye, you can be reduced to nothing if you don't stay on top of your game. You can enjoy this show with one of these russian girls.